The objective of the NHMRC Partnership Centre for Health System Sustainability (“the Centre”) is to investigate and create interventions to improve health system performance sustainability. The Centre will explore the issues impacting health care system sustainability and develop and evaluate a set of implementable interventions that are appropriate from a clinical, patient and economic perspective. The outcomes of this work will be practical in nature and relevant to governments at all levels. The Centre is comprised of organisations from the Australian public, private and non-government sectors. Find out more on our website. Health system sustainability requires an alignment of funding, strategy, delivery, performance management and information to achieve optimal health outcomes, patient experience and value for money for the community. We welcome policy makers, researchers,clinicians, information technologists, economists, computer engineers, students, government and industry who share our vision of health system sustainability to join our team. Current research opportunities at AIHI. Wears R, Hollnagel E, Braithwaite J, editors. 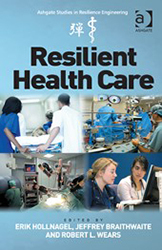 Resilient Health Care Vol. 2: The resilience of everyday clinical work. London, United Kingdom: Ashgate; 2015. Hollnagel E, Braithwaite J, Wears R. Epilogue. In: Wears R, Hollnagel E, Braithwaite J, editors. 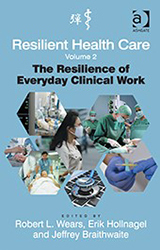 Resilient Health Care Vol 2: The resilience of everyday clinical work. London, United Kingdom: Ashgate; 2015. Allen D, Braithwaite J, Sandall J, Waring J. Towards a sociology of healthcare safety and quality. Sociology of Health Illness. 2015; Published Online First: 17 December 2015. Braithwaite J, Wears RL, Hollnagel E. Resilient health care: Turning patient safety on its head. International Journal for Quality in Health Care. 2015; Published Online First: 20 August 2015. Greenfield D, Debono D, Hogden A, Hinchcliff R, Mumford V, Pawsey M, Westbrook J, Braithwaite J. Examining challenges to reliability of health service accreditation during a period of healthcare reform in Australia. 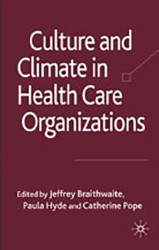 Journal of Health Organisation and Management. 2015; 29(7):912-24. Hooper TD, Hibbert PD, Mealing N, Wiles L, Jaffe A, White L, Cowell CT, Harris MF, Runciman WB, Goldstein S, Hallahan AR, Wakefield JG, Murphy E, Lau A, Wheaton GR, Williams HM, Hughes C, Braithwaite J. CareTrack Kids–Part 2 Assessing the appropriateness of the healthcare delivered to Australian children: A study protocol for a retrospective medical record review. BMJ Open. 2015; Published Online First: 8 April 2015(5:e00774). Debono D, Clay-Williams R, Taylor N, Greenfield D, Black D, Braithwaite J. Using workarounds to examine characteristics of resilience in action. In: Hollnagel E, Braithwaite J, Wears L, editors. The Field Guide to Resilient Health Care. United Kingdom: Ashgate Publishing Ltd; 2016. (Accepted 17 February 2016). Braithwaite J. Part III South Eastern Asia and Oceania. In: Braithwaite J, Matsuyama Y, Mannion R, Johnson J, editors. 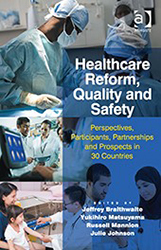 Healthcare Reform, Quality and Safety: Perspectives, Participants, Partnerships and Prospects in 30 Countries. Farnham, Surrey, UK: Ashgate Publishing Ltd; 2015. p. 111-2. Braithwaite J. Part I Africa and Western Asia. In: Braithwaite J, Matsuyama Y, Mannion R, Johnson J, editors. Healthcare Reform, Quality and Safety: Perspectives, Participants, Partnerships and Prospects in 30 Countries. Farnham, Surrey, UK: Ashgate Publishing Ltd; 2015. p. 7-8. Braithwaite J, Clay-Williams R, Hunte C, Wears RL. Understanding resilient clinical practices in Emergency Department ecosystems: Can this help with reconciling work-as-imagined and work-as-done? In: Braithwaite J, Wears R, Hollnagel E, editors. Reconciling Work-as-Imagined and Work-as-Done. Farnham, Surrey, UK: Ashgate Publishing Ltd; 2015. (Accepted 10 January 2014). Braithwaite J, Matsuyama Y, Mannion R, Johnson J. Discussion: Integrating, and synthesizing the evidence across countries. In: Braithwaite J, Matsuyama Y, Mannion R, Johnson J, editors. Healthcare Reform, Quality and Safety: Perspectives, Participants, Partnerships and Prospects in 30 Countries. Farnham, Surrey, UK: Ashgate Publishing Ltd; 2015. Gallego B, Walter SR, Day RO, Dunn AG, Sivaraman V, Shah N, Longhurst C, Coiera E. Bringing cohort studies to the bedside: Framework for a 'green button' to support clinical decision-making. Journal of Comparative Effectiveness Research. 2015; 4(3):191-7. Perez Concha O, Gallego B, Hillman K, Delaney G, Coiera E. Do variations in hospital mortality patterns after weekend admission reflect reduced quality of care or different patient cohorts? A population-based study. BMJ Quality & Safety. 2013; 23 (Mar)(3):215-22. Dunn AG, Coiera E. Should comparative effectiveness research ignore industry-funded data? Journal of Comparative Effectiveness Research. 2014; 3(4):317-20. Coiera E, Wang Y, Magrabi F, Perez Concha O, Gallego B, Runciman W. Predicting the cumulative risk of death during hospitalization by modeling weekend, weekday and diurnal mortality risks. BMC Health Services Research. 2014; 14:226. Dunn A, Arachi D, Hudgins J, Tsafnat G, Coiera E, Bourgeois F. Financial conflicts of interest and conclusions about neuraminidase inhibitors for influenza: an analysis of systematic reviews. Annals of Internal Medicine. 2014; 161(7):513-8. Dunn AG, Arachi D, Hudgins J, Tsafnat G, Coiera E, Bourgeois FT. Financial conflicts of interest and neuraminidase inhibitors for influenza: An analysis of systematic reviews. Annals of Internal Medicine. 2014; 161(7):513-8. Greenfield D, Hinchcliff R, Banks M, Mumford V, Hogden A, Debono D, Pawsey M, Westbrook JI, Braithwaite J. Analysing ‘big picture’ policy reform mechanisms: The Australian health service safety and quality accreditation scheme. Health Expectations. [Original Research]. 2014; 18(6):3110-22. Callen J, Li L, Georgiou A, Paoloni R, Gibson K, Li J, Stewart M, Braithwaite J, Westbrook JI. Does an integrated Emergency Department Information System change the sequence of clinical work? A mixed-method cross-site study. International Journal of Medical Informatics. 2014; 83(12):958-66. Westbrook JI, Li L, Lehnbom E, Baysari M, Braithwaite J, Burke R, Conn C, Day R. What are incident reports telling us? A comparison study at two Australian hospitals of medication errors identified at audit, detected by staff and reported to an incident system. International Journal for Quality in Health Care. 2015; 27(1):1-9. Westbrook JI, Gospodarevskaya E, Li L, Richardson KL, Roffe D, Heywood M, Day RO, Graves N. Cost-effectiveness analysis of a hospital electronic medication management system. 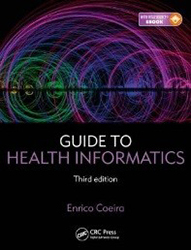 Journal of the American Medical Informatics Association. 2015; 22(4):784-93. Raban MZ, Walter SR, Douglas HE, Strumpman D, Mackenzie J, Westbrook JI. Measuring the impact of interruptions and multi-tasking on prescribing errors in an emergency department: study protocol. BMJ Open. 2015; 5(10 e009076 ). Lian O, Rapport F. Life according to ME: Caught in the ebb-tide. Health. 2015; (Accepted 24 October 2015). Li L, Hains I, Hordern T, Milliss D, Raper R, Westbrook JI. What do ICU doctors do? A multi-site, time and motion study of registrars’ clinical work patterns. Critical Care and Resuscitation. 2015; 17(3):159-66. NHMRC Partnership Centre, Bupa Health Foundation, NSW Health, Telstra, The University of Notre Dame Australia, and Australian public, private and non-government sectors.